Hosted by The Broke and the Bookish. 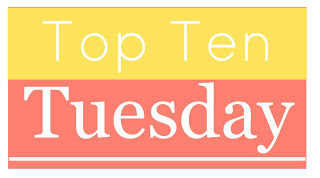 This weeks Top Ten Tuesday is all about Websites that I love that aren't about books. I visit many different websites daily but I think I have complied a good list here. 1. Bloglovin: Bloglovin is great for finding all sorts of blogs of all different topics. I love browsing it and discovering new blogs to read. I have found many new blogs because of this site. 2. Twitter: Twitter is my favourite social networking site. I feel like I connect with more people on there than any other form of social media. 3. 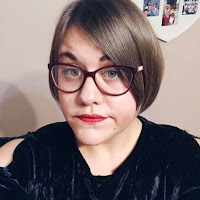 Slimming World: As a Slimming World member I use the site a lot for finding new recipes, keeping track of my weight loss progress and for tips on when I'm not particularly having a good week. I think I'd be lost without it. 4. Netflix: I think this one is pretty self explanatory. 5. Stumbleupon: When I am having a lack of creativity I also go onto Stumbleupon for some inspiration. There is so much on there that after browsing I always feel inspired. 6. Pinterest: Pinterest is also a site that I go on when I'm lacking in creativity and need inspiring. 7. Youtube: I watch and am subscribed to many Youtubers so it's no surprise that this is on my list. I'm Youtube everyday watching videos posted by my many subscriptions. 8. The Quiet Place Project - Thoughts Room: This is a site that I go to when I've had a stressful day or when my anxiety is at it's worse. On the site you type all your thoughts into a status box and they all just go disappearing. It's pretty calming and the music does seem to relax you. 9. Lush: I am a little bit obsessed with Lush at the moment so I am literally always on their website looking at what natural, handmade product I can pick up next. 10. Logical Harmony: As I am trying to make sure that all the cosmetic products I buy are Cruelty Free I used this blog as a guide. Tashina (who runs it) is very informative and keeps up to date with any changes. She has a list of brands which are Cruelty Free which is perfect for me.